The cardiothoracic surgeons at Aspirus Heart & Lung Surgery provide state-of-the-art surgical treatments ranging from coronary artery bypass grafting, open heart procedures, TAVR, valve repair, advanced atrial fibrillation procedures and thoracic surgery. The days of routine two-week hospital stays following heart surgery are long gone. 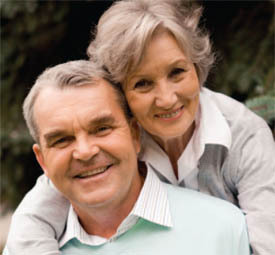 The surgeons at Aspirus Heart & Lung Surgery employ the broadest array of technologies and techniques in the region, allowing patients to choose the treatment most likely to get them back on their feet in a hurry. If you have been told that you need heart surgery, it is vital to choose the best care available. At Aspirus Heart & Vascular, our surgical program has repeatedly been recognized as one of the best in Wisconsin. We are leaders in minimally-invasive techniques and offer a broader range of treatment options to help maximize outcomes, safety and patient comfort. When you contact the Heart Surgery Second Opinion Program, our compassionate experts will meet with you within 48 hours of your call to discuss surgical options that can make a difference in your outcome. To schedule an appointment, please call 715-847-0400. Aspirus Heart & Vascular provides many options for valve repair and replacement, including minimally invasive mitral valve surgery and mitral valve repair surgery. Our surgeons have extensive experience with valve repair surgery, and offer a comprehensive range of valve replacement options. Aspirus Heart & Vascular physicians have been performing surgery for atrial fibrillation since 2002, with excellent results. Now, a minimally invasive surgery is helping people who suffer from atrial fibrillation, but are otherwise healthy. Learn more about A-Fib treatment at treatafib.org. Aspirus Heart & Vascular was the first program in the region to perform and embrace this superior technique for bypass surgery. Beating heart surgery, also called “off-pump surgery,” has higher success rates, promotes faster recovery and reduces complications. AHV surgeons perform about 95% of bypass surgeries using this technique. Aspirus Heart & Vascular is a national leader in the use of minimally invasive techniques that improve surgery. In addition to minimally invasive mitral valve surgery, another minimally invasive procedure performed by Aspirus Heart & Vascular is Endoscopic Vessel Harvest. This is a method of removing graft material for bypass surgery using half-inch incisions, rather than leg- or forearm-long incisions. This causes far less pain and reduces the chances of infection.